Music / Post No Bills Reconciliation in Kenya? 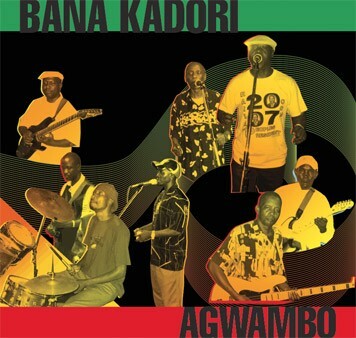 The title track from Agwambo (Kanyo), the new album by veteran Kenyan band Bana Kadori, is like a burned-out car left by the side of the road: it's an optimistic benediction for opposition leader Raila "Agwambo" Odinga, written when he was expected to win the presidential election held in December. Of course, Odinga was edged by incumbent Mwai Kibaki, and widespread suspicion of voting fraud helped plunge what had been one of Africa's most stable countries into fierce political and ethnic violence that's left more than a thousand dead, hundreds of thousands driven from their homes, and the nation in shock. Kenya has been battered economically as well, and many formerly integrated neighborhoods have become homogenous ethnic enclaves. Yesterday Kibaki and Odinga signed a power-sharing agreement in Nairobi, brokered by Kofi Annan, that creates a powerful new prime ministerial position for Odinga, but considering that the two men have failed to work together in the past, the future of this new government is uncertain at best. 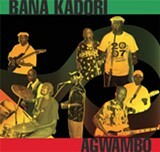 The Bana Kadori song was recorded last summer during the band's first American tour, which included shows for expat Kenyan communities in Pennsylvania and Texas and a New York rally for Odinga. Most of the tune is sung in Luo, but it also includes an English-language litany of Odinga's virtues: "He has suffered through detention without trial / For the sake of liberation / He was a staunch advocate of the Second Liberation / That gave Kenya the historic repeal of section 2A / That brought multiparty politics to our land," and so on. It's not exactly poetry, but given such enthusiasm it's easy to see why Odinga's defeat--especially in what seems likely to have been a corrupt contest--would come as a bitter blow to so many. Benga, the modern guitar-driven dance style that dominates Kenya's musical landscape, is a major part of Bana Kadori's sound, but the band also has a deep love for Congolese rumba and uses its languorous, soothing grooves to temper benga's energy. The music is wonderfully stripped down--none of the chintzy synths that so many African pop stars use, just electric guitars, percussion, saxophone, and bass. Perhaps the most satisfying element is the gorgeous, lush harmony singing. It's one thing for a group to nail a chorus, but these guys often sing whole songs together without the slightest wobble out of tune. The record was produced by Nyathi Otenga Flying Studios (the mobile setup run by Alex Minoff and Ian Eagleson of Extra Golden, who also own Kanyo Records), and they captured the music honestly and without fuss. Let's hope Kenya's future is as smooth as this album.